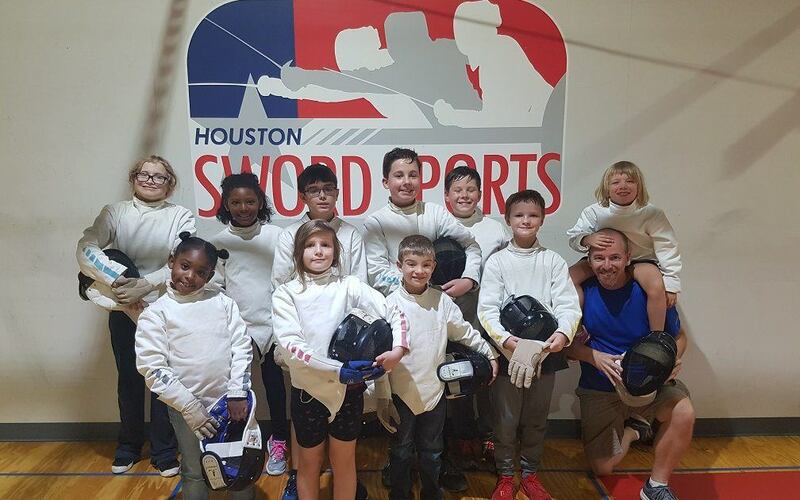 Another year has come and gone, and now we are celebrating the fourth birthday of Houston Sword Sports. It’s been a busy year with a lot of growth, and we are so proud of the work the club has accomplished. Take a look back with us at 2018, as we look forward to even more great stuff in 2019! This year we added four new after-school programs: Saint Mary of the Purification Catholic School, Saint Cecilia Catholic School, The Post Oak School, and Mark Twain Elementary. We had four coaches go on to bigger and better things: Lauren Baker, Evan Register, Michael Dudey, and Caroline Dikibo. We also hired four new coaches: Brian Toffelmire, Julia Fowler, Hayley Gillen, and Nick Negron. We hosted six tournaments – twice as many as we hosted in 2017. 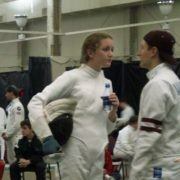 Our fencers also attended more tournaments and traveled farther than they had before. Our classes and membership numbers are growing. Here are just some of our adventures from 2018. 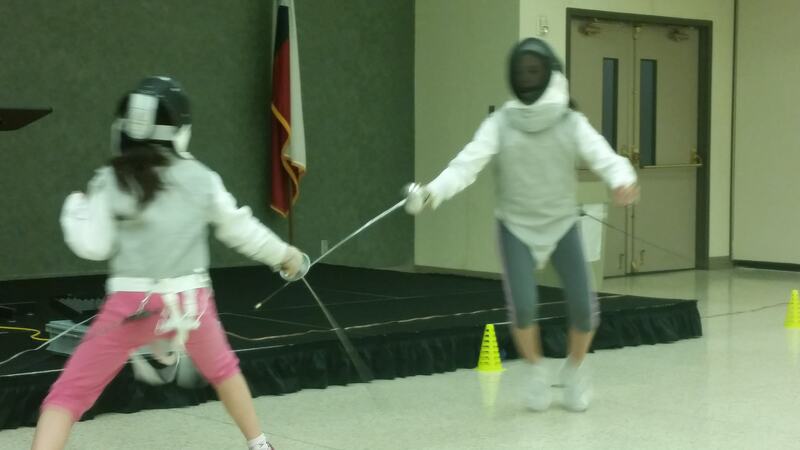 Coach Liz and Coach Caroline brought fencing to the Girl Scouts at Camp Agnes Arnold. Be prepared to lunge! 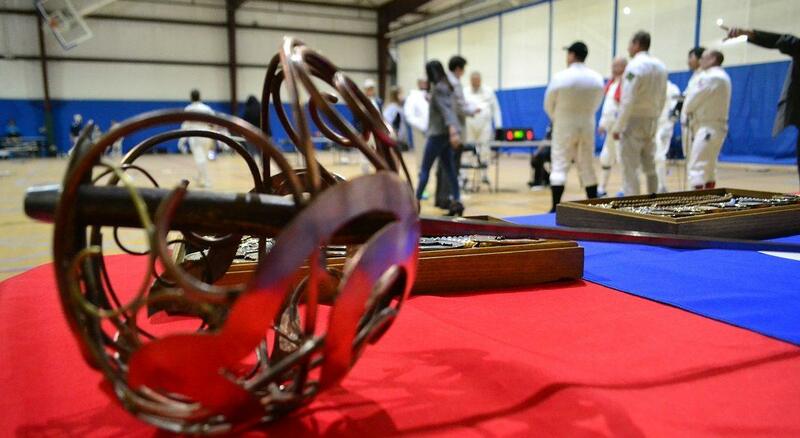 The third Houston Sword Sports Brash Invitational was a blast. Raise your hand if you had fun! 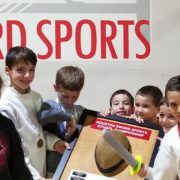 The St. Patrick’s Day tournament was the first sanctioned tournament that Houston Sword Sports has ever run. Coach Liz 3d printed the medals. Coach Caroline was our first hire. She was an invaluable member of our team, working in several schools and also maintaining our website. We were sad to see her go, but glad that she landed somewhere great. 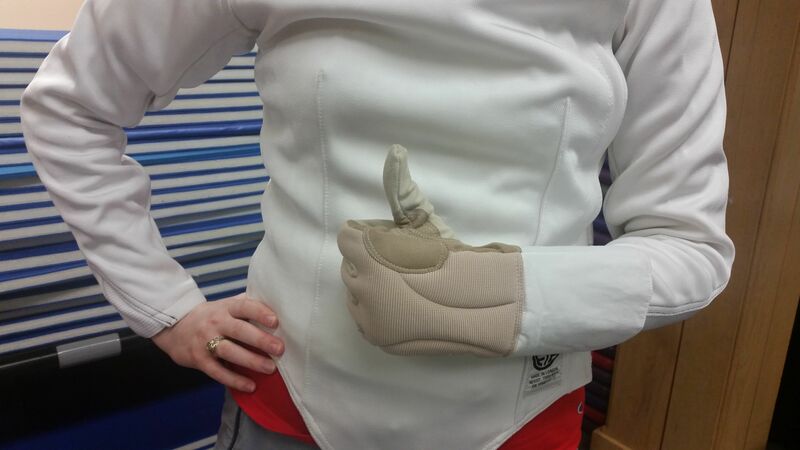 HSS fencer Oscar Woolnough is also a member of the British National Wheelchair Fencing team. In April, he competed in a world cup in Canada. We got his bout to play on one of the scoring machine tablets and gathered round to cheer him on. We close each semester with our School Championship tournament. Kids from all over Houston competed to win individual medals and the Golden Mask for their school. In June we received one of the first wireless strips produced by EnPointe. This little device replaces reels and costs about as much as traditional reels. Our summer camps continue to grow. This year we offered full-and half-day camps. In the mornings, we did foil; in the afternoons we did stage combat. At the end of the week, the kids put on a show for their parents. The Fete de Lune is a long-running tradition in the Gulf Coast section. 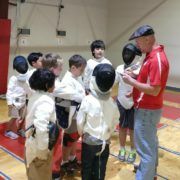 This popular veterans tournament is known for its fantastic medals and friendly atmosphere, plus a banquet after the tournament. 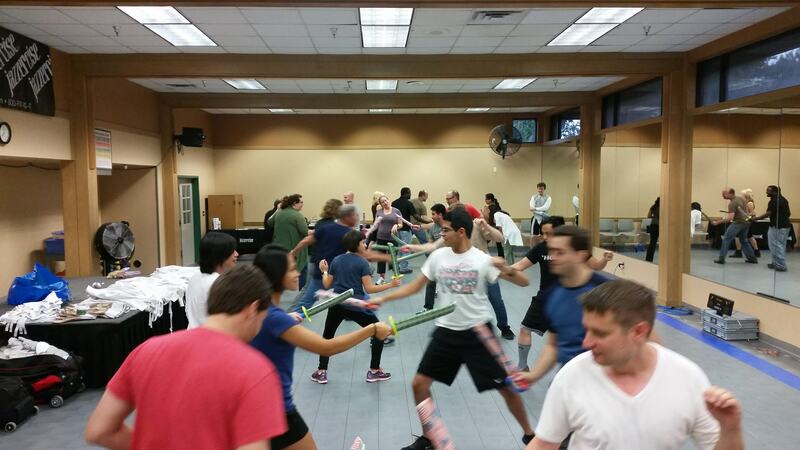 We took over running the tournament from Clear Lake Fencing Club and had a great time. This was our largest and most ambitious tournament to date. Not everything we do is so serious! In September we kicked off a monthly Nerd Night, a gathering of like-minded nerds to play tabletop games of various types. For our first Nerd Night we played Dungeons and Dragons. About a quarter of the 20-some participants had never played before. Asgard Games sponsored the evening and provided game materials and HSS-themed dice. 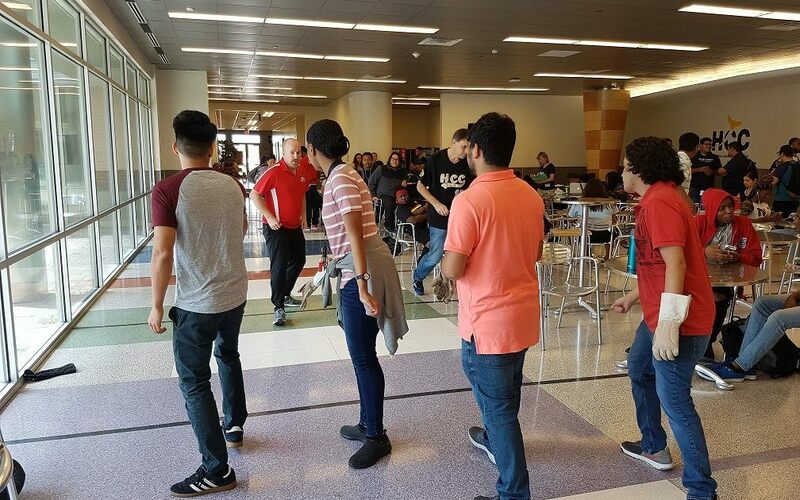 This was our second demo at Houston Community College. This time, the college’s TV station sent a crew to cover it! 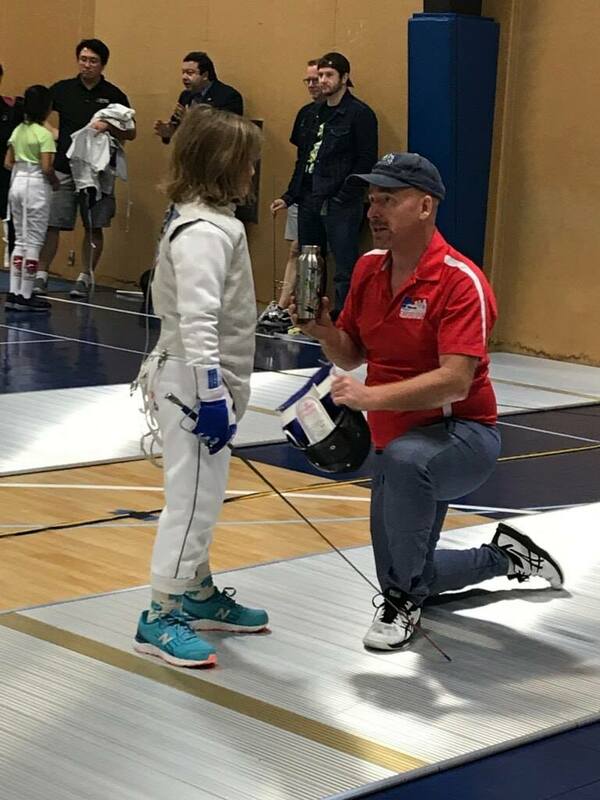 Our fencers traveled to more tournaments this year, and we started sending coaches to more tournaments. Here’s Coach Dan giving advice to Audrey Toffelmire. The newest member of the Houston Sword Sports family joined us a little earlier than expected. Coach Liz’s new daughter Diana is already being groomed for a great future in our sport. In October we experimented with the Swiss format, which is popular in chess and Magic: The Gathering tournaments. We kept with the Swiss theme by offering fondue, and the prizes were Swiss cheese and chocolate. 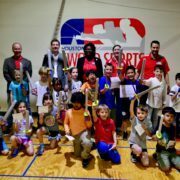 The Fall School Championship was our biggest yet! Lycee International de Houston took the overall prize, the Golden Mask, for the third time in a row. We closed the year with a new brewery tournament, this one at Eureka Heights. Our long-term goal is to have a brewery circuit of four to six tournaments in different breweries. Eureka Heights was a great venue, and a great step in that direction! This Spring we’ve added two more schools for a total of 12, and we’re planning to add even more in the Fall. We’re also adding more summer camps in more locations. 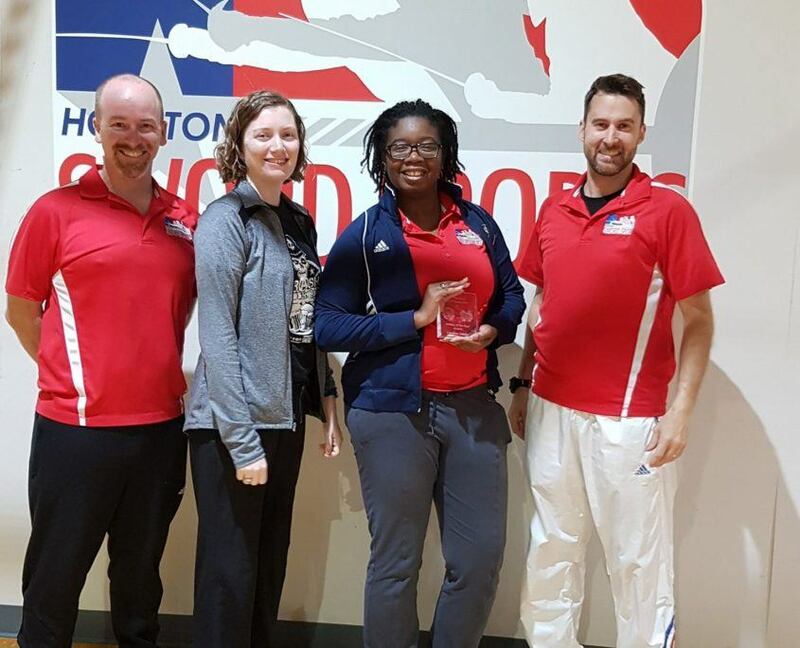 We hope you’ll make Houston Sword Sports a big part of your 2019, too.